Joe Balaz, born and raised in Wahiawa on the island of Oʻahu, is of Hawaiian, Slovakian, and Irish ancestry. He is the author of multiple books of poetry in Standard English and Pidgin (Hawaiʻi Creole English), as well as the editor of Hoʻomānoa: An Anthology of Contemporary Hawaiian Literature. His writing, visual poetry, and artwork have been published in national and international journals and anthologies. Throughout his career, he has passionately advocated for Hawaiian and Pidgin literature. 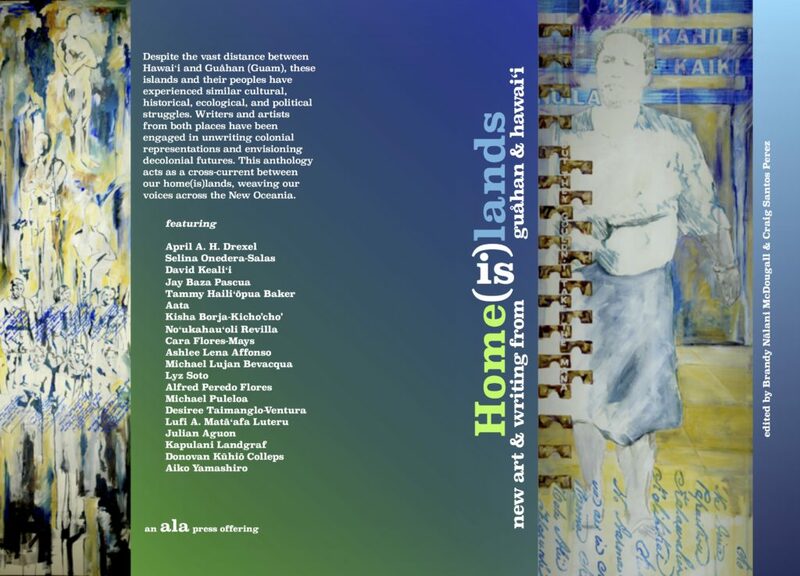 Home(is)lands: New Art and Writing from Guahan and Hawaii, edited by Brandy Nalani McDougall and Craig Santos Perez. Writers and artists include April Drexel, Selina Onedera-Salas, D Keali’i MacKenzie, Jay Pascua, Tammy Hailiʻōpua Baker, Kisha Borja-Kicho’cho’, Noʻu Revilla, Cara Flores, Ashlee Lena Affonso, Michael Lujan Bevacqua, Lyz Soto, Alfred Peredo Flores, Michael Puleloa, Desiree Taimanglo-Venture, Lufi A. Matā’afa Luteru, Julian Aguon, Kapulani Landgraf, Donovan Kūhiō Colleps, Jessi DeVera, and Aiko Yamashiro! passages in between i(s)lands is a collection of poetry and storytelling that is eclectic and vast in mood and tempo by a leading voice in Pacific Literature, Audrey Brown-Pereira. Navigating between Samoa, the Cook Islands, Aotearoa/New Zealand and the U.S., these poems reflect on the politics of family and identity in a rapidly changing Pacific. Brown-Pereira is a self-confessed “word player” where all elements of text are painted to create colour and volume. 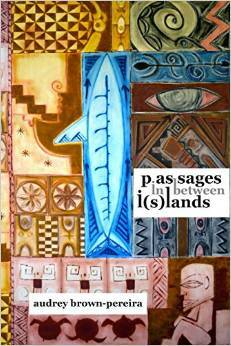 passages in between i(s)lands is the much anticipated follow-up to Brown-Pereira’s threads of tivaevae: kaleidoscope of kolours published in 2002. 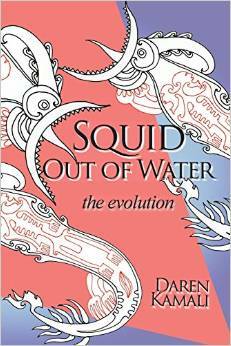 Honoring the Pacific Ocean and its many cultures and stories, Squid Out of Water is the second poetry collection of Daren Kamali, a poet, artist, and teacher of Fijian and Wallis and Futuna descent. This first collection of poetry by award-winning Spoken Word artist, Grace Teuila Evelyn Taylor, marks her debut as a poet who can also move audiences with the written word. 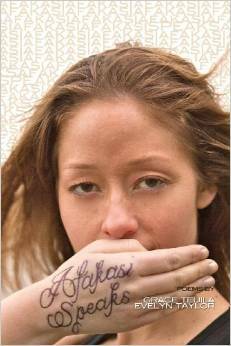 Afakasi Speaks explores the complexities of Afakasi identity, of those that, as Taylor puts it, “taste the bitter sweetness of the space between brown and white,” identifying as Samoan and English. These brave poems give voice to the power of family and language even as they reveal painful colonial legacies. 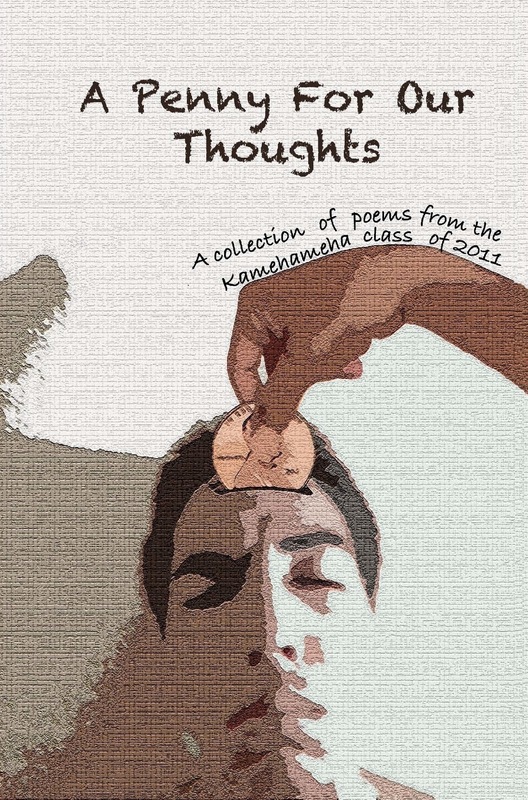 The poems in this collection were written as part of a semester-long class, World Poetry, which is offered to Kamehameha seniors. Throughout the course of this class, the students featured here have shared many original pieces of literature, providing a lens into their chaotic teenage lives and showing the unique backgrounds from which they’ve grown. The poets of Kanaka Maoli ancestry featured in A Penny for Our Thoughts, come from many of the Hawaiian Islands including Oahu, Kauai, and Molokai. Through class prompts, creative discussions, and even hikes into the forest of Kapālama, these authors have drawn inspiration for these works. The Festival of Pacific Arts takes place once every four years in the Pacific. The quadrennial festival is hosted by a different island nation every year; in 2008, American Samoa hosted the 10th festival. There were participants from 27 island nations from Hawai’i to Australia, in all fields including literature, oratory, storytelling, chanting, fashion, dance, film, video, sculpture, painting, and more. 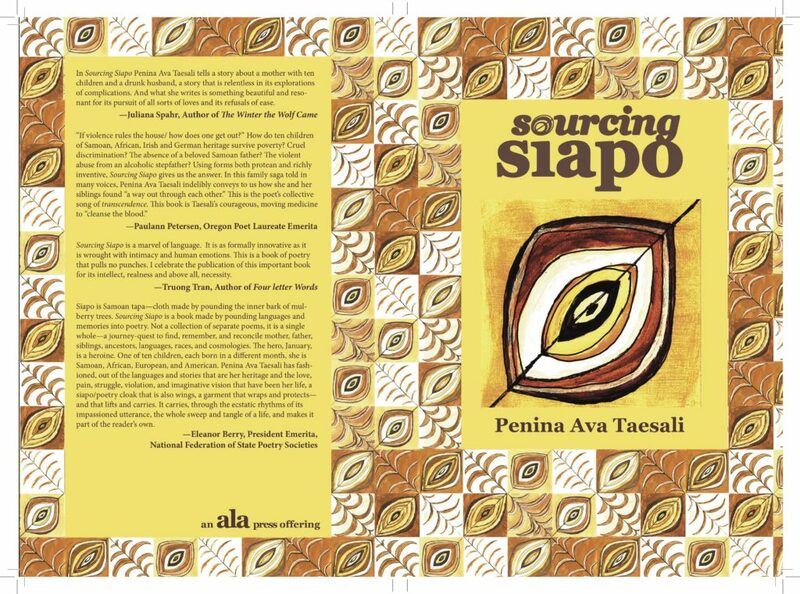 This anthology features poetry, short story, and plays by a selection of Pacific writers and artists who attended the festival, including Sia Figiel, Larry Thomas, Cresantia Frances Koya, Dan Taulapapa McMullin, Victor Rodger, Teweiariki Teaero, and Dianna Fuemana.